From the difficult 2007 vintage ….. severe frosts at budburst, extremely hot ripening season, a very small yield with tiny berries and small bunches. After 12 months in oak and 4 years in bottle this vibrant ruby red wine is beginning to yield up its rich, deep dark red berry fruit characters ……. 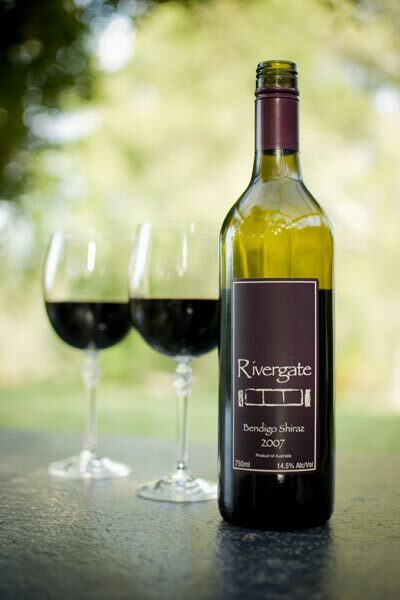 a long-lived complex Rivergate Shiraz. This wine was selected to accompany the main course at Bendigo’s Longest Lunch 2012.